To check if your area is covered please Call or Email us first. Style – We offer Composite doors that are aesthetically pleasing, available in a wide range of colours and a variety of glass options. Security – Keep intruders out! Our Composite doors are made from impact resistant GRP with a rigid polymer subframe – proven to PAS 24 Security Standard, a prerequisite for achieving ‘Secured by Design’ endorsement. Weather Resistance – Our Composite door keeps the elements at bay, proven to BS6375-1 Classification, for weather tightness, air, wind and water. Heat Insulation – The Composite door exceeds Approved Document L of the Building Regulation requirements, keeping your home insulated and your bills down. 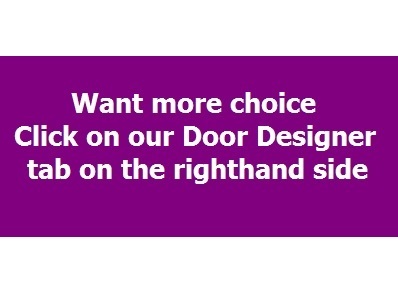 Durability – A door with pedigree, offering strength, high impact resistance and stability – all backed by a ten year guarantee! The insulated composite door is strong, durable and secure. Manufactured to an exacting and high quality specification. It’s strength comes from the construction of it’s sub-frame in solid, water-resistant polymer material, reinforced behind with Laminated Veneered Lumber (LVL) The thermoset GRP skins are then bonded to the sub frame, and its core filled with high density, 100% CFC-free polyurethane foam. authentic timber like door with all the advantages but limited maintenance. Thermoset GRP cannot expand or contract laterally such that the door cannot increase or decrease in size, an advantage over other commonly used materials. The factory finish colours of White, Black, Blue, Green and Red have pre-pigmented GRP skins which are over-sprayed with a UV stable paint.